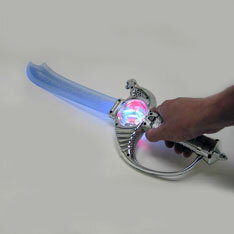 Pirate’s Cutlass includes action sound and bright LEDs for effect. Great for those swashbuckling parties filled with treasures and imaginations. 23½ inches. Sold individually. $3.15 each for 36 or more. $2.80 each for 72 or more.